Introduction to Acrylic Landscape Painting Course for Adults begins November 14th 2015. Join us Saturday mornings for 6 weeks. Painting should be a NO FEAR ZONE! 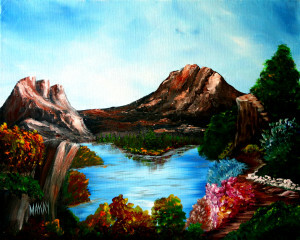 This is an acrylic landscape painting course for adults age 18 and over. It is specifically designed to teach acrylic landscape painting techniques at a beginner level. It is designed to enhance skills and bring out your imagination and self-confidence. During this painting course you will experiment with a variety of elements, tools and methods to create acrylic works of art! No experience necessary for this course. Never painted – not a problem! Painted before but still want some basics -This course will work for you too! 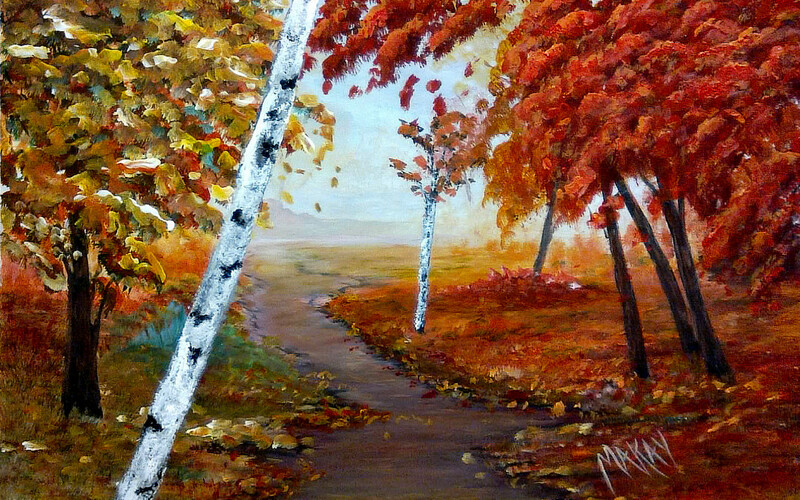 This introductory course covers basic painting techniques with an emphasis on contemporary applications of acrylic landscape canvas painting. By the end of this acrylic landscape painting course, you will have a basic understanding of these concepts and some basic tools used to accomplish your acrylic landscape painting goals. Seating is Limited to ONLY 15 people. Check your email. I just sent you a private email with various options.